It is a challenge to find the best possible individual who can fit within your culture and contribute in your organisation. Keeping the best people, once you find them, is easy if you do the right things right. 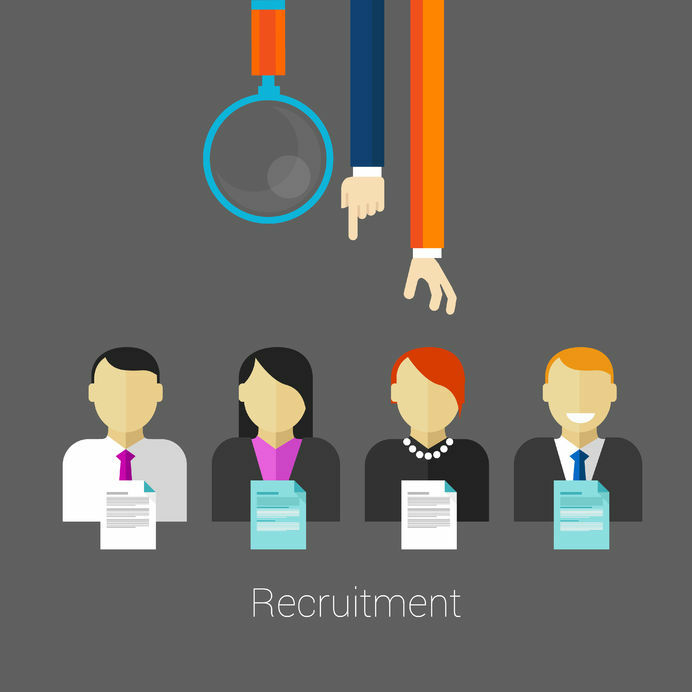 These specific actions will help you with recruiting and retaining all the talent you need. Here are some tips for better recruiting. When you are replacing members of staff, particularly if you are in a hurry, it is tempting to put together a job description as quickly as possible, usually just copying the role requirements of the previous incumbent. However, spending a bit more time reviewing the job description and person specification prior to starting recruitment will really pay off in the long run. A detailed brief that defines not only the needs of the role and the organisation, but also the qualities of your ideal candidate will help you to judge interviewees objectively against set criteria. Advertising is critical as it attracts people who are actively looking for a new challenge, but proactive methods are increasingly important to create links with people who are not actively on the market. It is a generalisation, but one that usually bears out – these are the people who are most likely to be the movers and shakers. They are too busy doing a great job to be on the job market. They are also less likely to turn down your offer in favour of another and they are more likely to recommend your role to other people if it isn’t right for them. At the end of the job advert or job interview, let the candidate know when the deadline for the role is; or, if at the end of the recruitment process, when the decision will be made. Make it clear where the candidate must apply to; either via email, telephone or filling in an application form. A clear call to action and a deadline will inspire the right candidates to take immediate action. This is crucial for a recruiting process that’s looking for candidates with technical skills, or a strong background or experience. Sadly, people lie and stretch things on their curriculum vitae (CV), creating difficulty to the process and to the company after the initial hire. Don’t be afraid to ask a copywriting candidate to write a press release, or a programming candidate to write a short code, or a sales candidate to do a mock sales call. Especially if the test is on the spot, it’ll make it clear who can work under a tight deadline and who actually stands up to what the CV says. Follow up with candidates after each interview and stage of the hiring process, and when the final decision has been made. Additionally, consider providing feedback to candidates on why they were not selected, suggest specific ways to stay connected, and follow through. Ask them to connect on social media, then keep your pages updated with content that highlights what’s great about working for your company. Sign them up for an email newsletter, and share culture-related content as well as recent openings. When the process is done right, you can turn rejected candidates into your most promising future hires and most ardent supporters. Are you looking for recruitment and selection training? Read more about our recruitment training courses/recruitment courses.